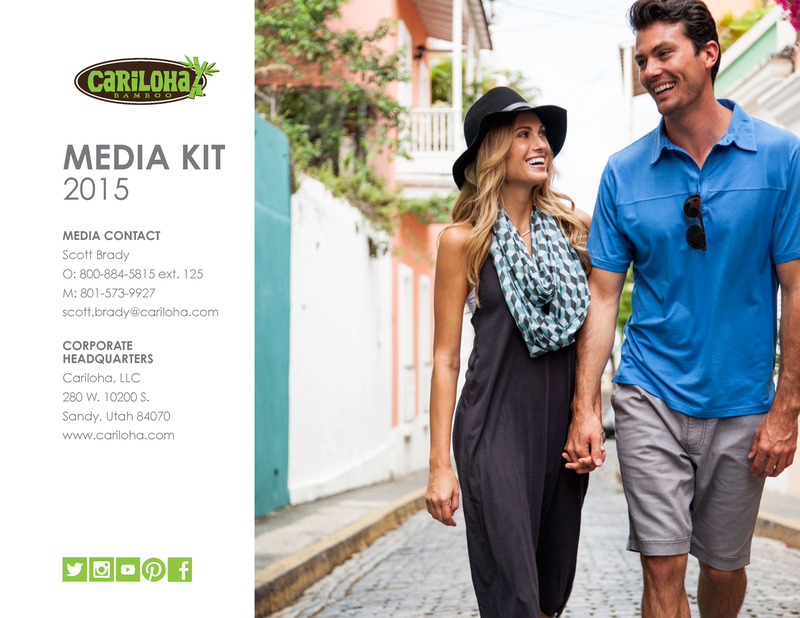 Cariloha’s made-from-bamboo skirts and tanks are available exclusively at Cariloha stores. SALT LAKE CITY – Bamboo clothing, bedding and bath goods retailer, Cariloha, this week introduced its new Schaffer tank and Sinclair skirt each made from eco-friendly bamboo-fabric blends and available in three new colors, Castle Rock, Magenta Haze and Bright Aqua. Designed by Cariloha’s product and design team, the tanks and skirts are available exclusively at Cariloha stores and online next month. The bamboo tanks and skirts help expand Cariloha’s Bamboo Style line, and they provide customers with a luxuriously soft ensemble that’s both simple and sustainable. Attractive, updated flower-and-petal print looks as stylish and soft as the fabric it’s made of. This new relaxed-fit tank features clean, smooth edging on armholes, neckline and waistline, giving it a classy look that’s still fun to wear around town. Tank has two different applications – heavier embroidery combined with screen printing on the stylish slub patterning. Made from 60% organic cotton / 40% viscose from bamboo, the tank also features fashionable ruching around the neck and sewn-in Cariloha custom neck label with bamboo-soft tagging. Sporty, 2×1, ribbed neck and armhole. Easily one of the most comfortable, playful skirts you’ll ever wear, and its bamboo-soft fabric and tailoring truly seal the deal. It features clean, finished edges that provide a classy look that’s perfect for an afternoon with the girls or for a swimsuit cover-up. Made from 60% organic cotton / 40% viscose from bamboo, the A-line skirt has a fashionable sewn-in Cariloha custom waist label with a satin, wing vertical tag. The new skirt and tank can be matched together – but also look great to be worn separate, pairing with a racer tank or any style from the Bamboo Style Collection. Cariloha Bamboo tanks and skirts come with a 90-day quality guarantee. If they don’t live up to the customers’ expectations, Cariloha will replace them without reservation. They’re both machine washable and should be tumble dried low, so maintenance is easy and worry-free. They get even softer after washing.